General Motors and Nissan both posted large Canada sales gains in July — up 22 per cent and 11 per cent, respectively. Numbers in this table are calculated by Automotive News based on actual monthly sales reported by the manufacturers and may differ from numbers reported elsewhere. Source: Automotive News Data Center in Detroit, Mich.
*Reflects Aston Martin, Ferrari, Lotus and McLaren sales. New-vehicle sales in Canada were up five per cent in July, mainly on the backs of General Motors, Honda and Nissan, all of which saw their sales increase by double-digit percentages. July sales were the best on record for Nissan and the best since 2008 for General Motors. Nissan saw its sales increase to 12,788 vehicles, up 11 per cent over the same month last year. General Motors’ sales were up 22 per cent, to 25,852 vehicles. Honda posted a 10 per cent gain, selling 18,544 vehicles. Honda delayed reporting its numbers until Wednesday and General Motors delayed providing a breakdown of sales by carline by the same time frame. Neither said why. Large players, like Ford and FCA, saw their July sales edge down 7.1 and three per cent, respectively. Overall automakers combined to sell 182,258 vehicles last month, good for a five per cent rise over July 2016. Through seven months, total Canadian sales are 1.22 million. The increase means a record sales year of two million vehicles remains within reach. Automakers sold a record 1.95 million vehicles in Canada in 2016. General Motors’ numbers were bolstered by large truck sales, which were up 23.3 per cent to 10,250 units. Utility vehicle sales were also up with 1,152 units sold, a 98.6 per cent increase over last year. 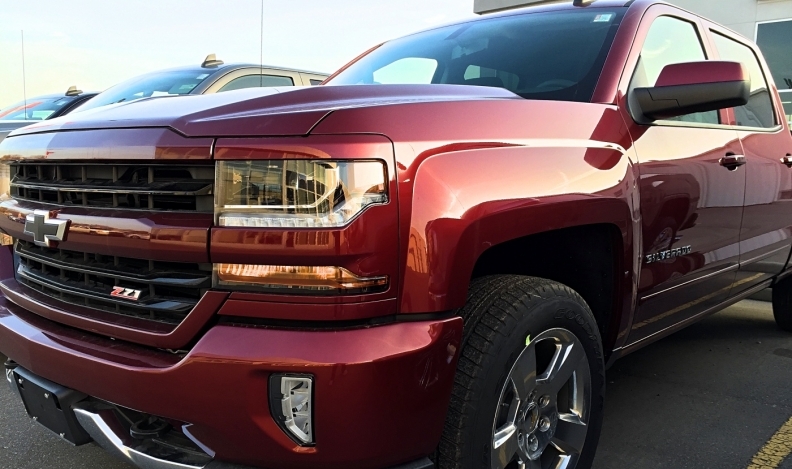 “Driven by our enormous success with our crossover portfolio, it is like we have sold an extra months’ worth of retail sales so far this year,” John Roth, GM Canada’s vice president of sales, service and marketing, said in a statement. The automaker also got a small boost from mid-size sedans, selling a combined 978 Chevrolet Malibus and Buick Regals, up 59 per cent from the year before. The Honda Odyssey had its best July on record with 1,794 sold. The HR-V sailed past last July’s figures with 1,361 units sold, up 37 per cent from 2016. “The trend towards light trucks continued as we saw the Honda HR-V, Pilot and Ridgeline outperform their previous July numbers while one of the newest member of the lineup, the all new Honda Odyssey, recorded its best ever July sales figures since 2002” said, Jean Marc Leclerc, Honda Canada’s senior vice-president of sales. Honda sold 786 Pilots, up 20 per cent, and 319 Ridgelines, up 266 per cent. Sales of Nissan’s small cars surged in July. The Micra sold 946 units, up 17.8 per cent, while the Versa sold 683 units, up 19.8 per cent. Meanwhile, the automaker sold 1,142 units of the new compact SUV Qashqai during the first full month of sales. But consumers fled from the Sentra, Altima and Maxima models, down 35, 55 and 36 per cent, respectively. On the luxury side, Infiniti set a July sales record with 981 units sold, an increase of 8.3 per cent. FCA Canada reported sales of 23,467 vehicles, down three per cent compared with July 2016. The automaker can thank its Jeep brand for the numbers not being worse. Jeep had sales of 9,842 units for July 2017, its highest monthly Canadian sales total during any month in the brand’s 75-year history. Jeep sales were up 36 per cent over the same month last year. The brand’s completely redesigned Compass saw its sales rise nearly 400 per cent. Jeep sold 1,039 units of the new Compass, versus the previous model’s sales of 215 sold in July 2016. However, Jeep has also discontinued the Patriot, a rival cousin in the small SUV segment. The Chrysler and Fiat brands dragged down FCA’s total numbers. Chrysler sales dropped 61 per cent with the elimination of the Town & Country minivan and 200 sedan. Fiat sales were off 59 per cent. FCA struggled to move cars in July. Sales of the Chrysler 300 were down 82 per cent, while the Dodge Challenger and Charger were down 15 and 66 per cent, respectively. Even the automaker’s Dodge Ram truck line suffered a 13 per cent decline, down to 6,990 units versus 8,026 a year ago. FCA wasn’t the only one of the Detroit Three to suffer a sales decline. Ford sales were down 7.1 per cent to 27,650 in July. However, the automaker’s 188,018 units sold through the first seven months of the year remains far ahead of last year’s pace of 179,613. Cars, or their lagging sales, killed Ford’s chances at increasing its total numbers in July. The automaker sold just 3,793 cars, down 34.4 per cent from the 5,782 it sold last year. Ford Explorer and Ford Expedition sales were up 25 per cent and 23 per cent, respectively. And Ford F-Series continues to be Canada’s truck of choice with 14,224 sold last month. Toyota Canada reported a total sales increase of 3.8 per cent, driven by its Lexus luxury brand and the sale of cars. The automaker sold 2,018 Lexus vehicles in July, up 7.2 per cent from the 1,883 it sold during the same month last year. Toyota bucked a North American trend of slumping sedan sales, increasing sales of those and compact cars by 6.2 per cent, to 6,925 units. In total, Toyota brand sales — including a small number of Scion vehicles — were up 3.4 per cent to 16,943 units. Subaru reported a sales increase of 5.8 per cent to 4,454 vehicles. Its car sales up as well. The automaker sold 1,661 cars in July, up 29 per cent over the 1,281 it sold in July 2016.